The monarch is one of North America’s most known butterflies, with its easily recognizable black, orange and white pattern. The overall population of monarchs has decreased greatly over the years, the reason being the depletion of the milkweed plant. Milkweed is the only source of food for monarch caterpillars and, due to the loss of habitat from land development and widespread use of weed killers, these plants are becoming more and more scarce. Why keep the monarchs (and other butterflies) around? Butterflies rank third on the list of top pollinators, behind bees/wasps and flies. About one third of the food people eat depends on the work of pollinators such as butterflies. Butterflies are an “indicator species” which help to tell us the health of the environment. Because these creatures are sensitive to changes in climate, the presence of harmful chemicals and pollution, they are great tools to help determine the well-being of our ecosystems. They are important members of the food chain. Butterflies provide a food source during all stages of their life cycle for animals such as birds, spiders, lizards, small mammals and even other insects. Many Golf Course Superintendents around the country, including our own Jon O’Connor, are making an effort to keep milkweed on the grounds. 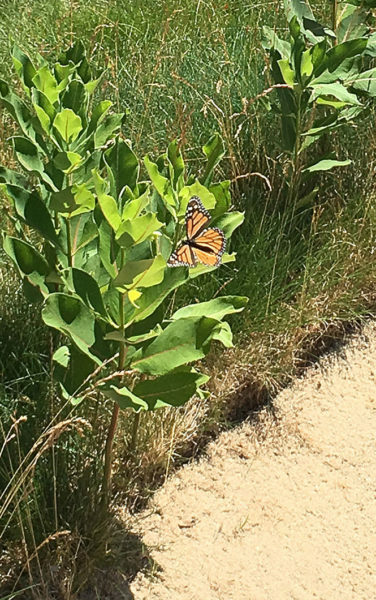 Here, the milkweed is indigenous to the area and Jon and his crew allow it to grow naturally in the fescue areas of the course to help the local monarch population. In just this year alone, both the caterpillar and butterfly populations have increased. If you’re interested in helping your local monarch population, here are some steps you can take. Plant Milkweed! Butterflies need milkweed to lay their eggs and the caterpillars eat only this plant, so the population relies on it 100 percent. 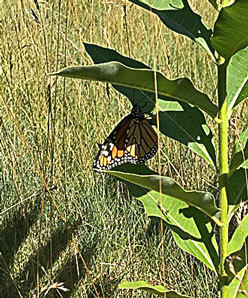 While there are over 100 species of milkweed, only about 30 are used by monarchs. Click here to find out what to plant in your region. 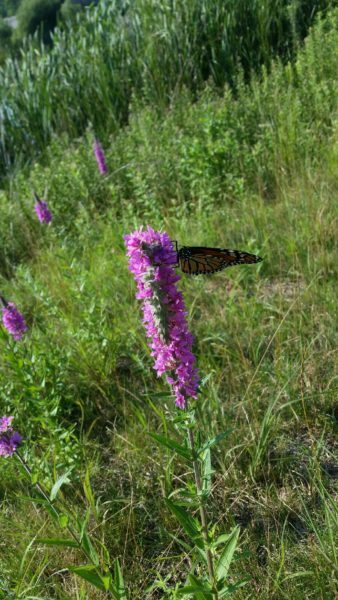 Monarchs constantly feed on nectar from flowers, so plant abundant native flowering plants in your garden. Many butterflies and native plants have co-evolved over time and depend on each other for reproduction and survival. Flowers that bloom all summer long will lure more butterflies. Avoid using pesticides in your garden as these kill insects, including butterflies. As the only Audubon International Silver Certified Sanctuary in Massachusetts, the Bay Club is pleased to provide the resources these creatures need to survive, and hopes to continue increasing the monarch numbers in the years to come.